Intermediaries including brokers and agents are faced with the hazard of job losses as insurance companies move to distribute some of their products via mobile platforms in a quest for greater market penetration. This is coming on the heels of recent push and partnerships with mobile technology firms, particularly the telco’s and IT companies, where products have been rolled-out using recharge cards, ATM payments, telephony and online payments for transactions. The implication is that technology and the different platforms are gradually taking over some of the jobs agents and brokers do, and many companies testify that the technolgy approach is more cost effective, fraud free and helping to build confidence among the insured. Brokers and agents who control over 75 percent of the nation’s insurance business have come under pressure lately, with this new technology adoption to drive distribution, premium collection and remittances. 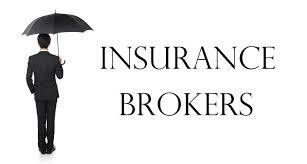 There are currently over 500 insurance brokers and 7,000 agents operating in the country’s insurance industry. Victor Dorgu, sales manager, MainOne Cable Company, said this is a critical time for intermediaries to make themselves relevant by investing in technology to remain in business or lose out. Dorgu said change is constant, technololgy will not wait for anyone and those who wish to stay relevant must move with the trends. Tunji Ashiru of Inter-Switch, said a new product called ‘Human ATM’ is being developed, targeted at financial inclusion for the financial services industry. Ashiru said the new product will take insurance services and other banking products to the rural communities, and that insurance companies could partner more with technology firms for more friendly solutions to deliver their products to market. Delegates from Boff & Co. Insurance Brokers as well as SCIB Insurance Brokers, at an insurance round table conference in Lagos, asked what is there for insurance brokers and agents in mobile technology, arguing that there is yet to come any technology to address risk assessment and claims management processes in insurance transactions, without human presence. “We are yet to see a technology that would replace risk assessment, claim processing without the middle man in the business being on ground to play certain roles. Ope Osiyemi, managing director, EdgeEdwards, Company Limited, said current and future challenges of the insurance industry will be easily solved and enhance relevance of the sector within the eco-system if operators adopt new technologies. Information technologies, beyond social media, will play a key, role as data, predictive modeling, mobile technology and cloud computing will clearly impact the dynamics of the industry, Osiyemi observed.